come with a super secret police dropship. 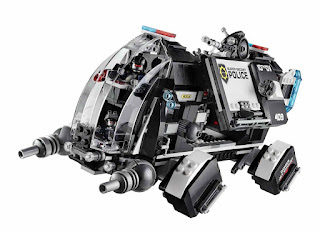 the dropship has a dual cockpit, removable windshield, rear control operated rotatable rocket boosters, 2 stud blasters, rotatable front cannons, a rotatable roof mounted rifle, slidable side panels, a weapon rack, a switch operated extendable zip line, an openable back door and a removable prison. 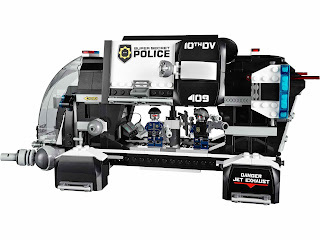 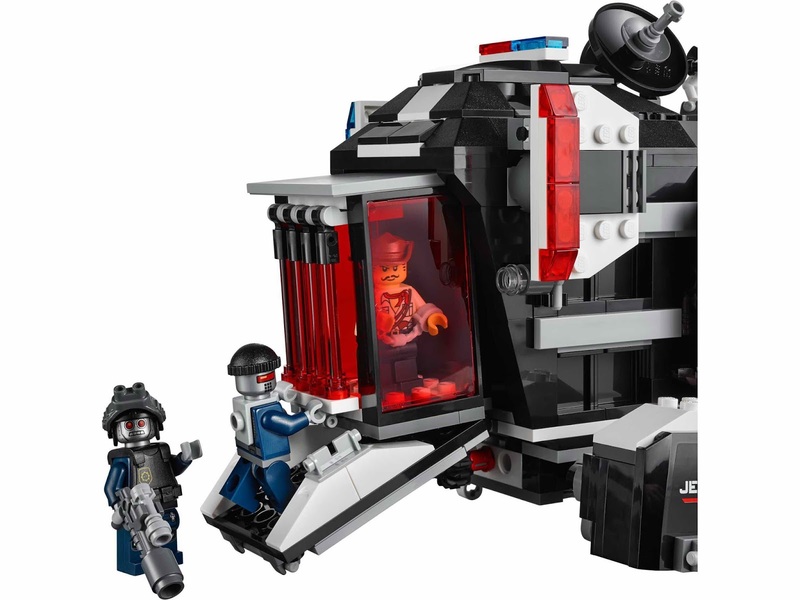 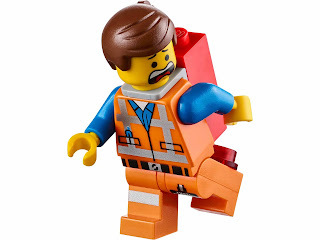 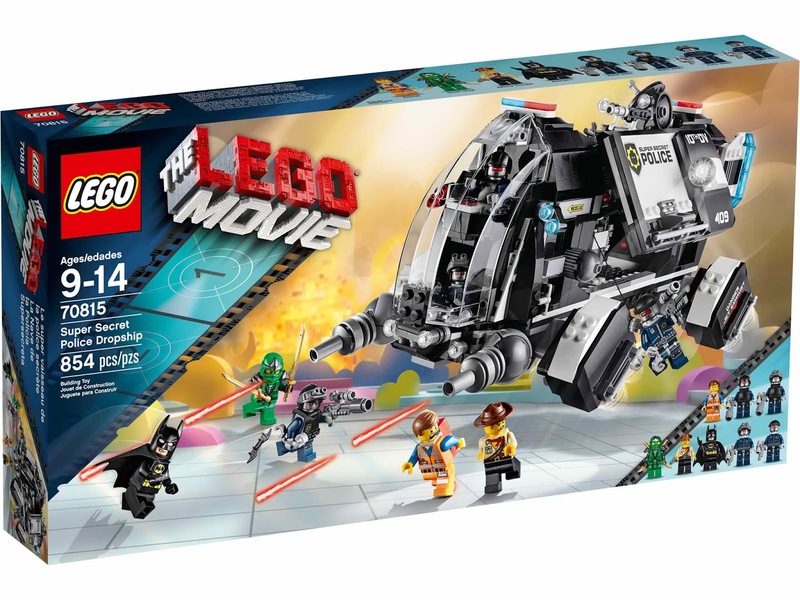 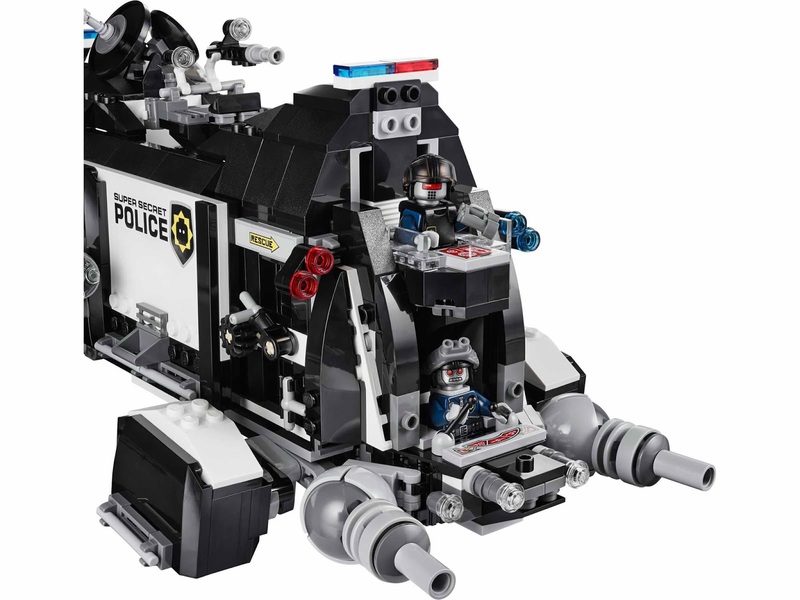 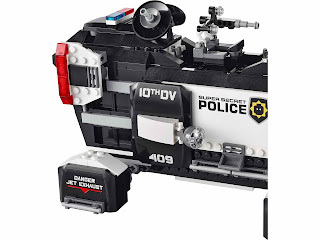 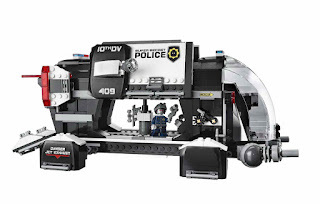 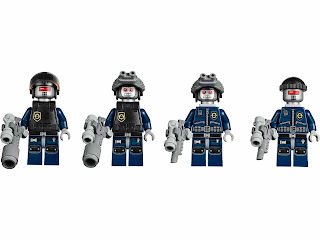 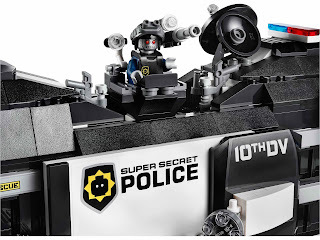 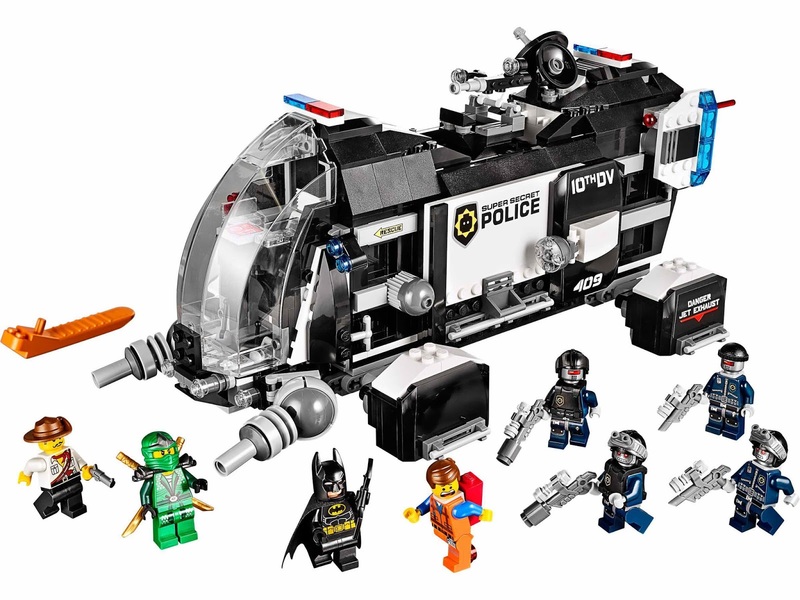 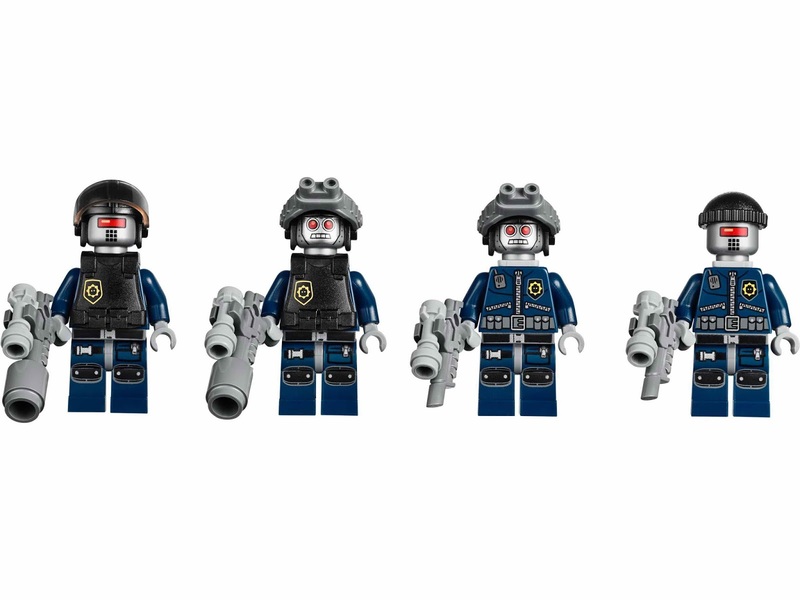 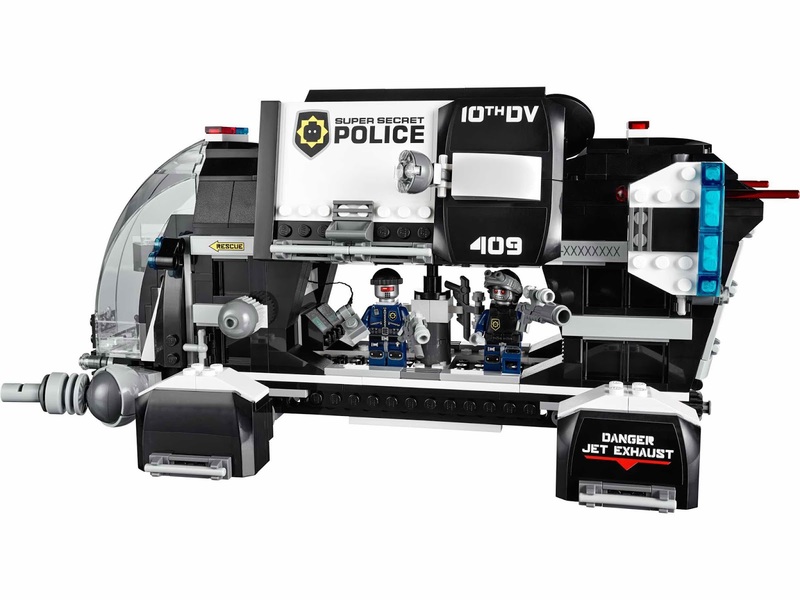 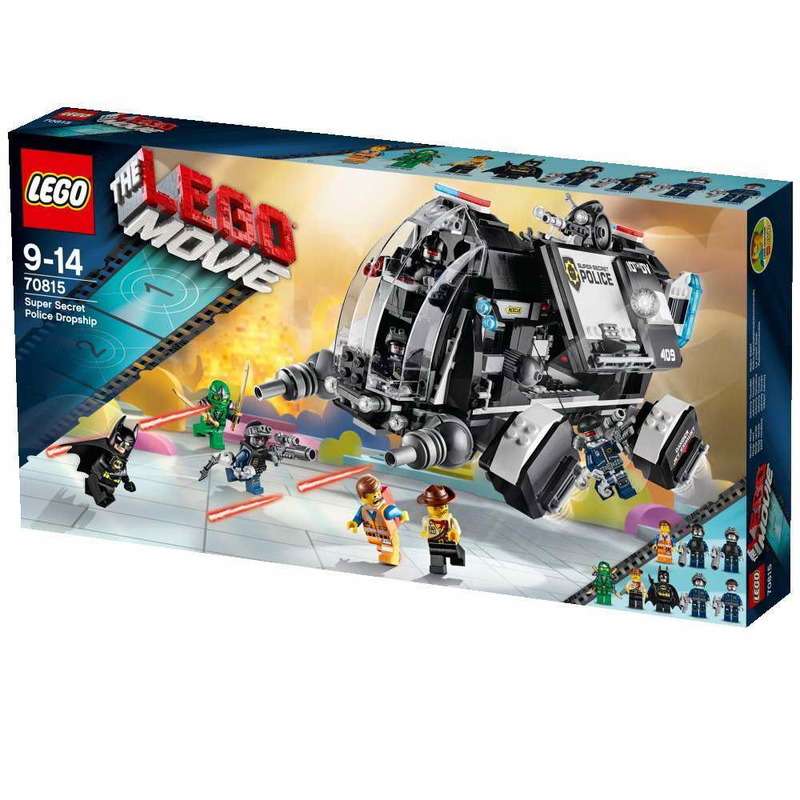 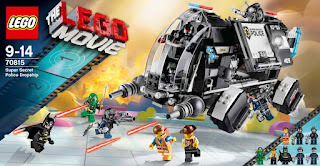 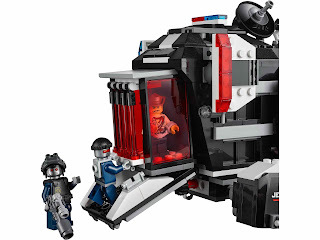 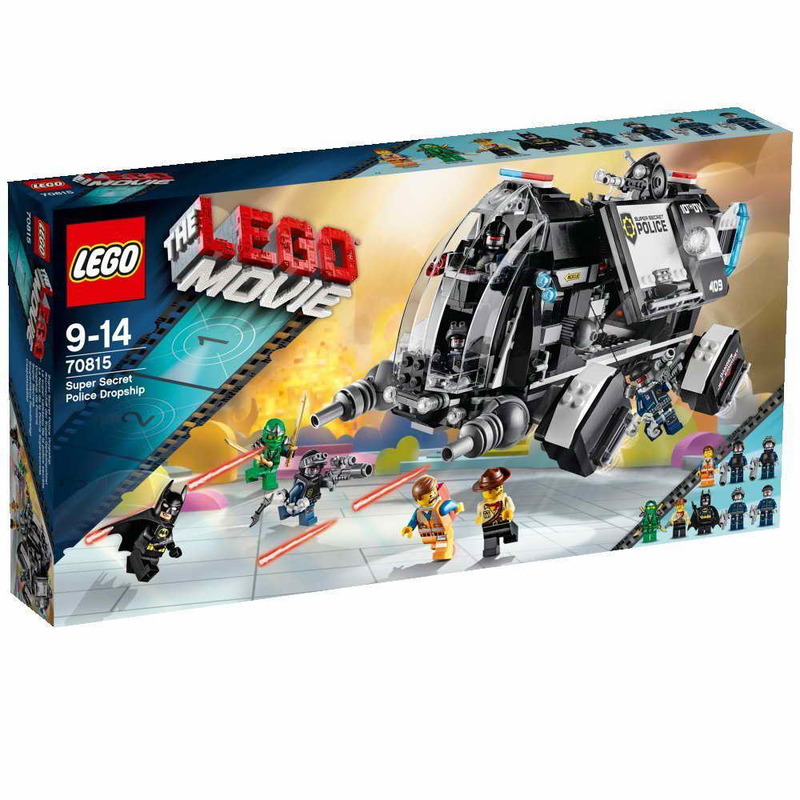 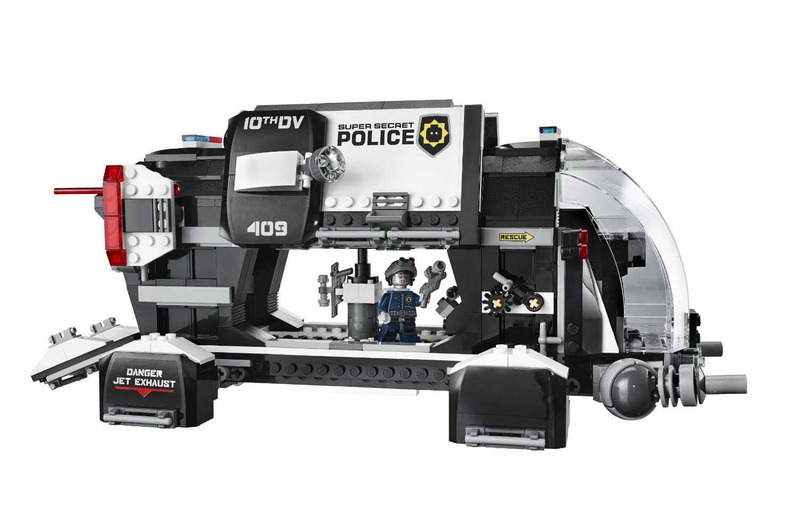 minifigs included an emmet minifig, a batman minifig, a green ninja minifig, a johnny thunder minifig and 4 robo swat minifigs.